Eurovision's Greatest Hits Wiwi Jury: Rosa Lopez "Europe's Living A Celebration"
Robyn: This isn’t a great song on its own – it needs some sort of stadium-sized spectacle to bring it to life. It sounds more like the anthem for some sort of sporting event from the ’80s than a great song from 2002. Yeah, it’s pretty naff, but at Saku Suurhall in Tallinn, it would actually be great to wave flags to and shake your booty to. Anthony: This may have got Spain a respectable seventh place back in 2002, but between the flashing multi-coloured disco lights and the well-timed choreography, the whole performance felt more like a New Year’s Eve house party. James: And the award for having sung the tackiest and most irritating song that year, second to “I Can’t Live Without Music” by Corinna May, goes to Rosa Lopez. An absolute miracle it came seventh, for such a meaningless bunch of random sounds for three minutes for the sake of Spain having taken part. Frankly wouldn’t be an episode of a music career I’d want to mention on *my* CV. Kristín: Aah, Rosa. This brings back memories about odd fashion choices and a lot of Malibu in pineapple juice. Those were the days. This song was suppose to be Spain’s come back anthem, and I always remember the video which showed Rosa’s journey and transformation from being the chubby girl to a song goddess. Very moving, and she even got to meet Lenny Kravitz! But it didn’t bring home victory for Spain, although Rosa is one of their best results this century. A decent pop song with a hook, and should have won instead of Latvia. No doubt. Spain and Rosa were robbed y’all! Denise: Awh this song is such a guilty pleasure. Everyone keeps saying that 2002 was a really bad Eurovision, but I think it was one of the strongest years, and Rosa is one of my favourites. The song is really fun and I can’t hear it without smiling and trying to sing along. Too bad I don’t speak Spanish, it’s always like “Europe’s living a celebration, Tosnos stundos almost Jakata” which makes no sense at all . The backing vocals were also amazing, you can see that they were having the time of their lives. Mikhail: It’s a nice, fun song, which makes you want to stand up and wave your hands to the disco rhythm. It can really boost your mood, but after a couple times of listens it gets boring and it’s never as good as the first time. Chris: I don’t think I can hate this song, really. It’s a perfect slice of what was right and wrong with early 00’s music. Rosa went on to bigger and better things, but she really delivers everything she can in this performance. This is the perfect celebration song for Eurovision too. All in all, it’s a good fit, but only when taken as something a bit light-hearted. Inaki: Every Spaniard is able to sing the chorus of “Europe is living a celebration”, probably because Rosa’s performance was the most-watched final in the history of Eurovision in Spain, not only because of an expected victory but because of the charismatic voice of Rosa who made Spain fell in love with her during the Talent Show “OT”. A festive and cheerful song that despite the choir and the outfits, Rosa performed wonderfully. Seguimos con los preparativos para la Gala del 60º aniversario del Festival de Eurovisión, ‘Eurovision’s Greatest Hits’, que se celebrará el próximo 31/3/15 en Londres. Ganas!!! Sopon: Rosa’s a prime example of the disco craze that swept Eurovision in the early 00’s. But she’s also one of the better ones. It’s so cheesy and so catchy, it’s a perfect Euroclub song. William: This is heinous. Rosa’s backing dancers appear to have drunk a bit too much sangria before the show, and Rosa is wearing black because she has just murdered her stylist. Although the song has a definite party vibe, I am not having fun. What a waste of Rosa’s amazing voice. Buenas noches pequeños!! Mañana será un día grandioso. Todos los días son grandiosos. A tope con todo, la vida son #momentos ??? ?nuevo disco en proceso???? All 18 members of our jury rate each song. However, we only have room to share 10 written reviews. Here are the remaining eight scores. 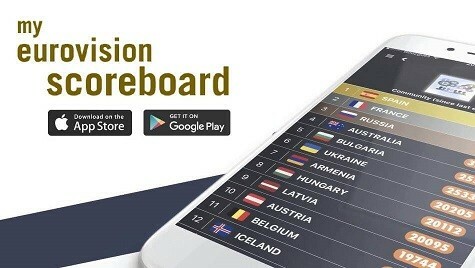 The highest and lowest scores are removed before calculating the final score. We have dropped a low of 2 and a high of 9. YOU CAN READ ALL OF OUR 60TH ANNIVERSARY NEWS HERE. But, yep, it was/is a myth. A lot of people think that se has achieved the best result. In her year Eurovision was an “amanecer” in Spain with 80% of audience. Well, maybe isn’t a special song for someone who’s not from spain, but for the Spanish people, it suppose a myth. Rosa Lopez, from Granada, an ugly ,fat and rustic person who becomes a new person thanks to a TV music show, Spainish loved her, and supposed a change in the musical plan. We always will remember her like “Rosa de España” (Rosa of Spain). Unfair reviews. This was an entertaining act in one of the worst Eurovision shows ever. Definitely in my Top 5 that year.